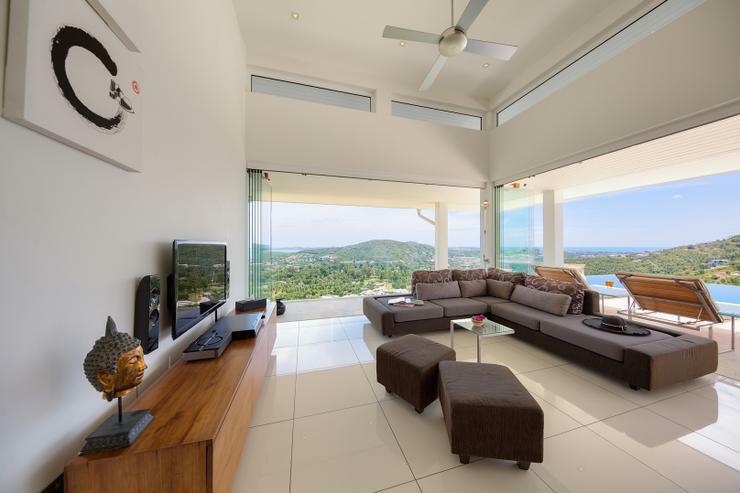 Amazing, open, spacious and beautiful! 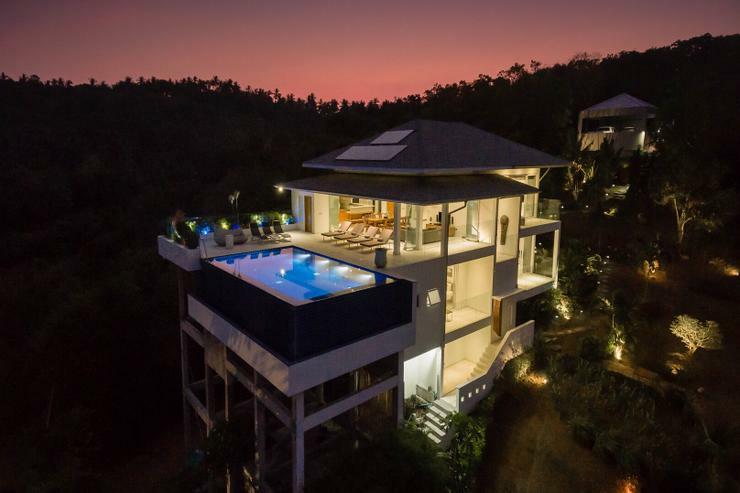 My friends and I stayed at Baan Kuno for our grad trip this year and choosing this villa was the best decision that we made! Upon arrival we were picked up from the airport and greeted by the two generous housekeepers with traditional Thai tea and a house tour from Jeremy! It was a great start, and especially because the villa exceeded our already-high expectations - we were so shocked and excited for our 9-day stay. 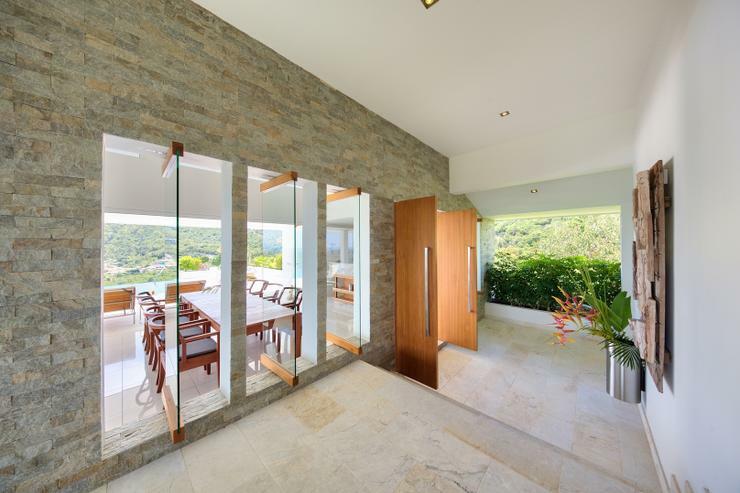 There really is no need for air-conditioning in the villa (apart from the rooms) as there are more windows and open areas surrounding the house than walls. Not only is the design minimalistic and chic, there are even Asian-themed decorations around the entire house which adds diversity to the house- which we loved a lot! There is a SMART TV in the living room which allows you to connect to internet sites even Youtube, which we really enjoyed using. One of the best parts of our stay was having breakfast made for us every morning by our lovely housekeepers- they are really good cooks! (This service was inclusive as long as we bought our own groceries). 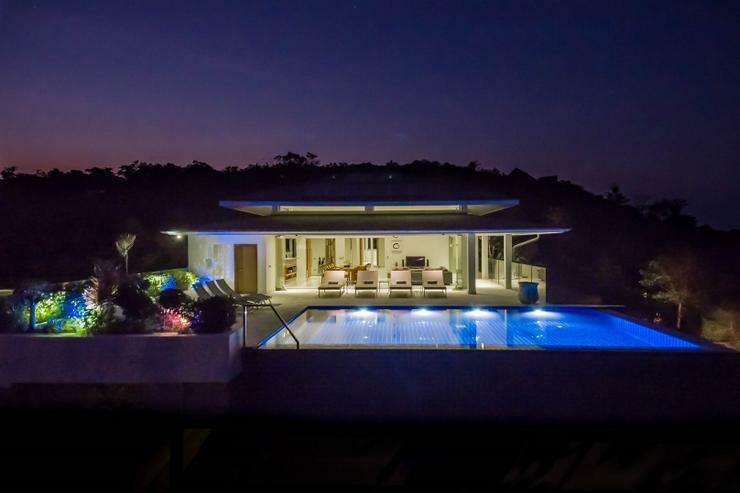 The infinity pool was definitely the BEST part of the house as it was big enough for the 12 of us, where we got both a mountainous and oceanic view which overlooks the neighbouring towns. 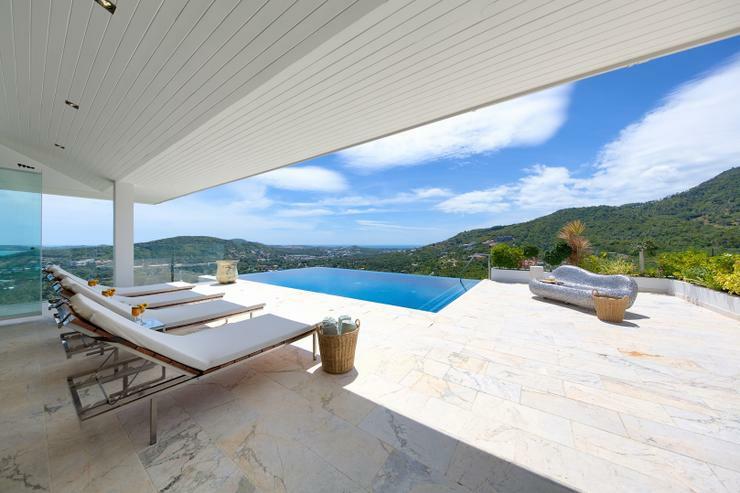 (For those who love to sunbathe, the openness and location of the villa made it the ultimate tanning spot). 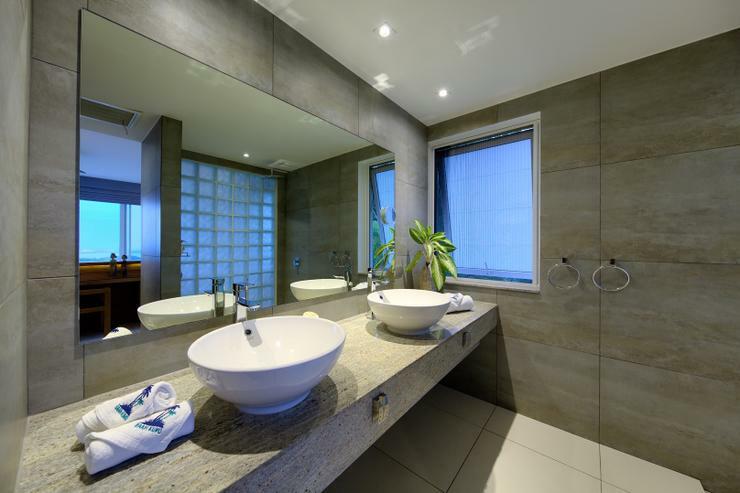 The maintenance and cleanliness of the villa was also exceptional. 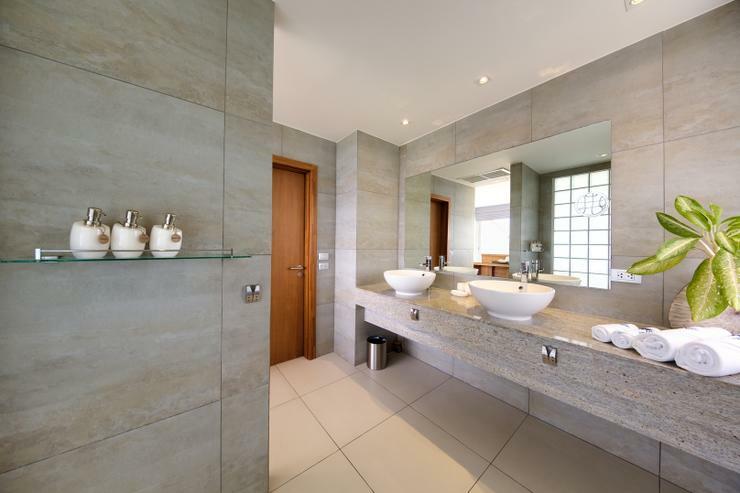 Each room comes with an ensuite bathroom which made our stay very convenient and efficient for a large group. Although we did not make use of the garden terrace, it was equipped with a BBQ grill and is the perfect area for a gathering! On most nights, my friends and I went out to party, and it was very helpful having 3 house keys between the 12 of us as well as being able to lock up the individual rooms. Although located in a quieter and more isolated area, the security was top-notch. We are all mostly 18 so we were not able to rent a car- which was the only downside of our stay. This meant that we had to call a van/ cab (the same driver) every time we wanted to go to town. It cost 800THB for every one-way trip to Chaweng, which seems like a lot at first, but we split it between the group and we knew that it was the safest option as the taxicab company is linked to the villa company so it was a trustworthy option. This stay exceeded all my expectations and if you are looking for a relaxing getaway from the busy city life- this was the best decision my friends and I made! I definitely hope to visit Baan Kuno again!! We booked this place at the last minute for Dec 25-30. We didn't want to stay on the beach but wanted to be near to all the amenities and beaches. 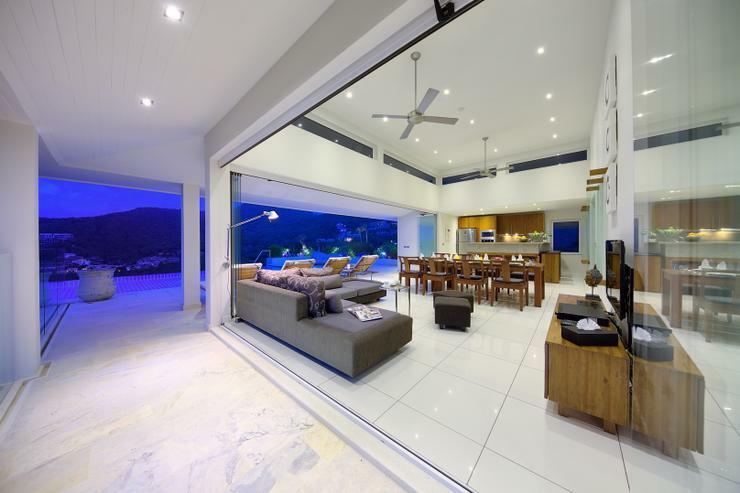 This villa was everything if not more of what we wished it to be. 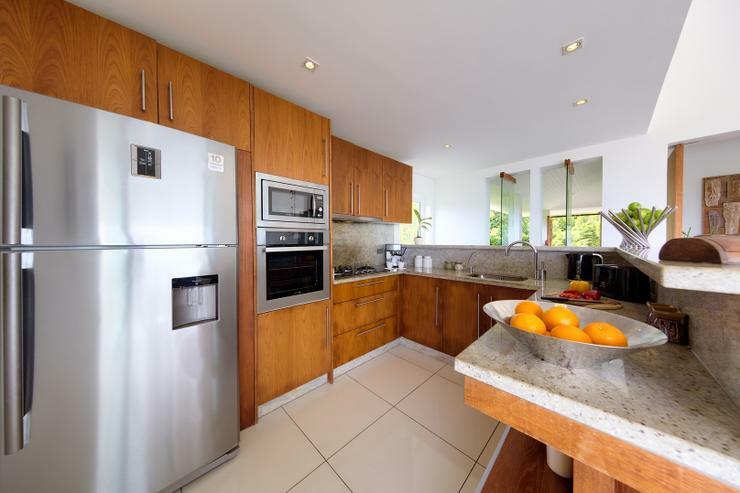 The villa has it all--breathtaking views, clean modern decor, proximity to Fishermans Wharf and amazing staff. Gwen, Thuy and Jay were the most gracious of hosts. Thuy and Jay cooked us up feasts daily--we didn't even feel the need to go to restaurants. They were conscientious of our privacy but were attentive to all our needs. Gwen was great at coordinating drivers and trips at the last minute. I have recommended this place over and over again to my friends and colleagues back home. 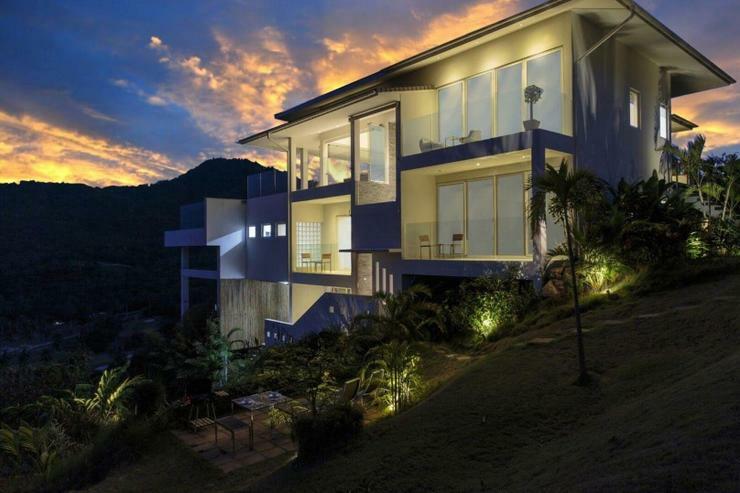 This villa is high up the hill and very modern. 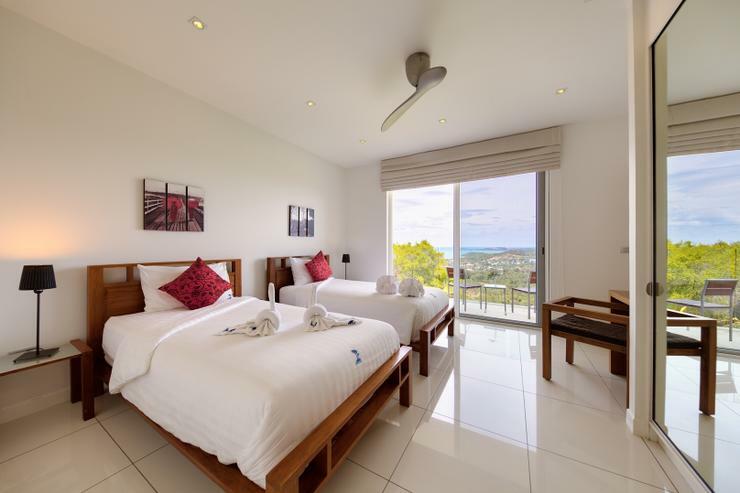 The rooms are great and big ( especially the 2 master bedrooms) and have everything you need. The pool has a great locations and is big enough to swim laps. The two two employees Brian and Kevin are absolutely great and very nice and polite. They clean the house perfectly and there also prepear great food! 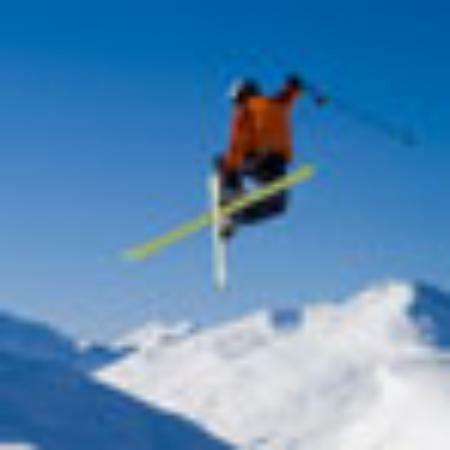 The only minus point is the location which is far up the hill where to go you need a taxi or car. The villa is great to go with some friends but with children it could be difficult because they maybe want some action and things to do. The beach at Fishermans village is not great but the little town is the best on Koh Samui. The nicest beach is Chaweng where you can go with a taxi or rental car in 20 minutes. 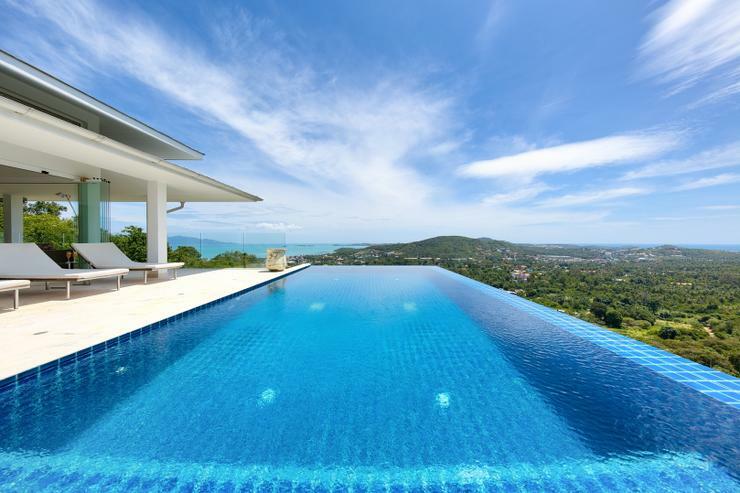 This villa is not cheap to rent, but in a great shape and the best part are the employee. Overall a good experience. Heaven on earth is here. 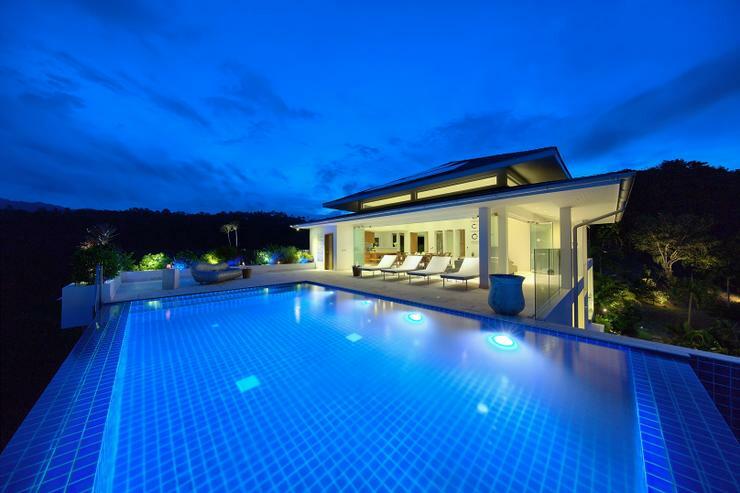 The wonderful and luxury villa which contained fully of best facilities. 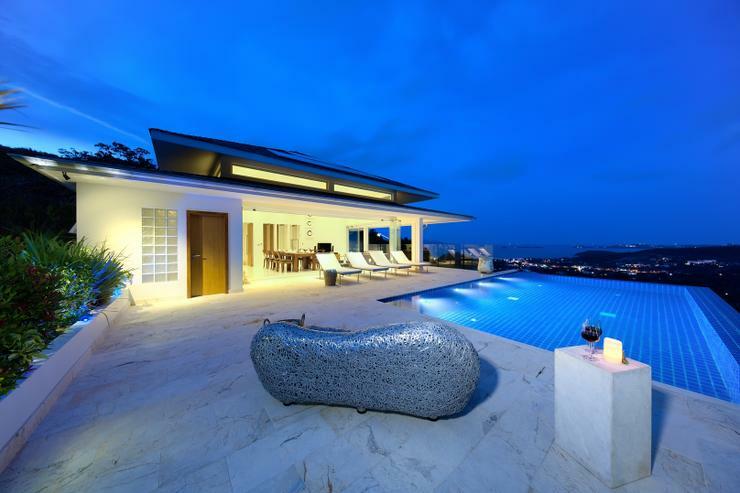 You can see the sunrise from the rooftop infinity pool. At night you can stargaze easily because Baan Kuno is far enough from city light but not far enough from beautiful sky. you must come here to have an great experience like me. This is absolutely the best place I have ever stayed! 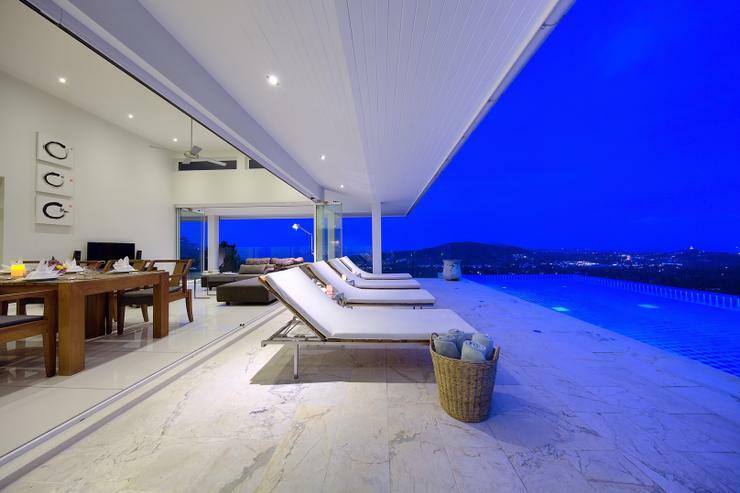 The villa is simply stunning! Beautifully designed & decorated. 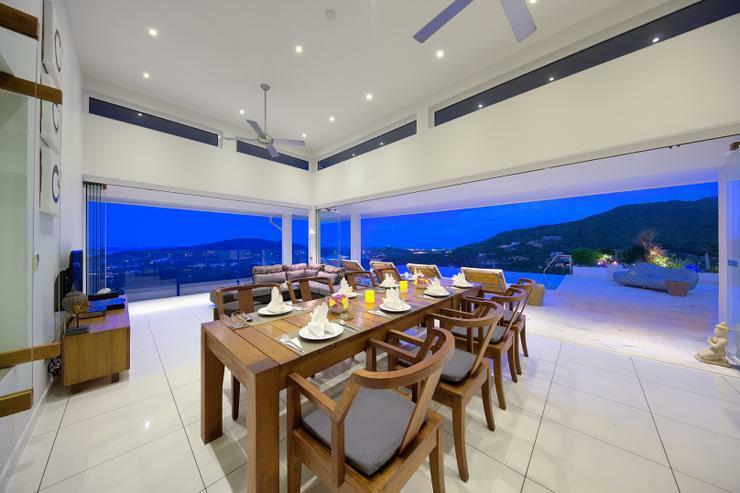 The location and views are incredible! The pool is beautiful! Amazing! Special mention to the amazing, caring, friendly, talented Pak & her husband who looked after us and absolutely made our stay!!! A HUGE assest to the villa! Pak's cooking is incredible!!! Great coffee too! So warm and friendly! Attention to cleaning of our rooms was also impressive! 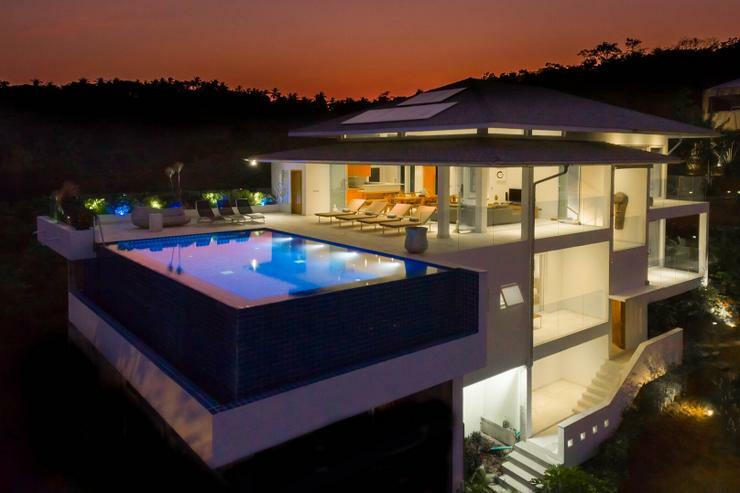 I cannot rave too much about this beautiful modern villa and incredible pool and views! Only downside is taxis needed to get to places and no cafes/restaurants easily walkable. Short drive to Fishermans Village though, and don't let this out you off! Absolutely recommend! We travelled to Thailand in Late July/August with our older teenage kids and their partners. 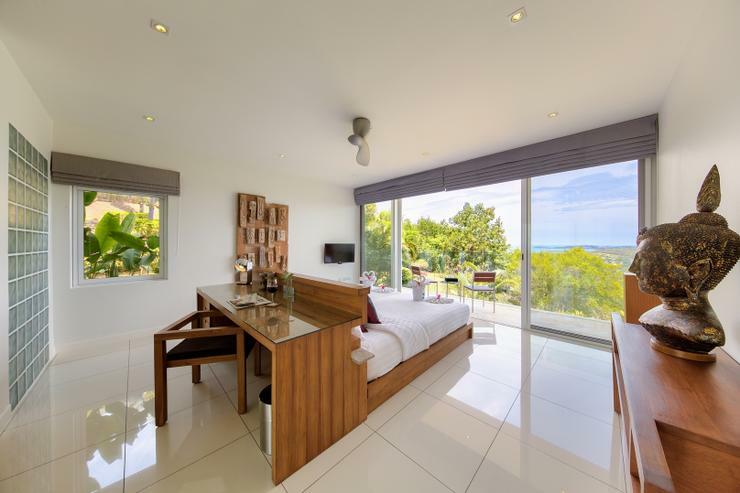 Our last stop was Koh Samui and we stayed at Baan Kuno for nine days. 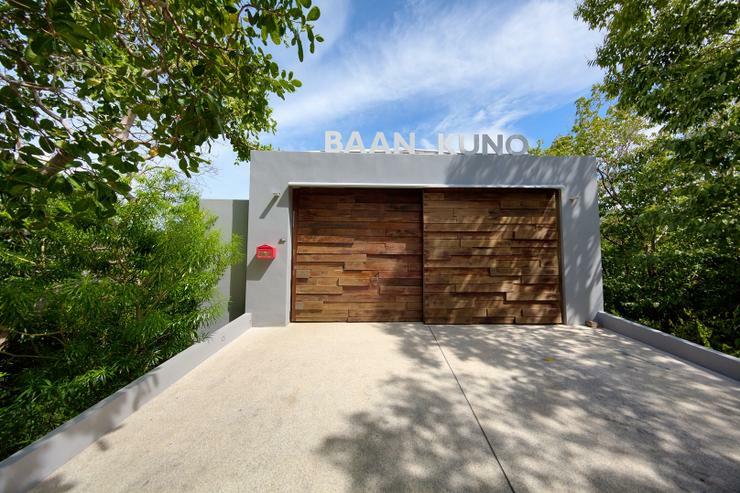 Baan Kuno was absolutely stunning and took our breath away as soon as we stepped in to the property. 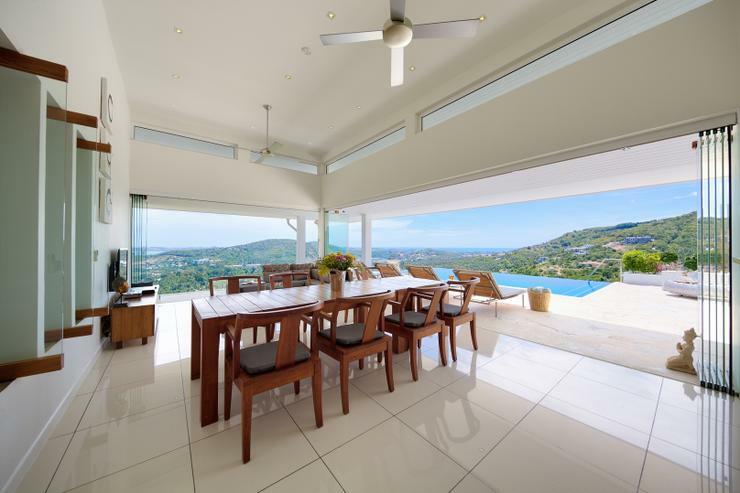 It's effortlessly cool with amazing views and our kids were blown away...they had great instagram photos! Pak and her husband worked tirelessly to keep everything clean and cooked some fabulous meals. Jeremy the villa manager was extremely helpful and answered all our queries quickly. The villa is a bit out of the way up the hill but this is what makes it so special. I think if we had stayed down near the ring road it would have been very noisy and instead being in the hills in such an amazing spot felt very exclusive. 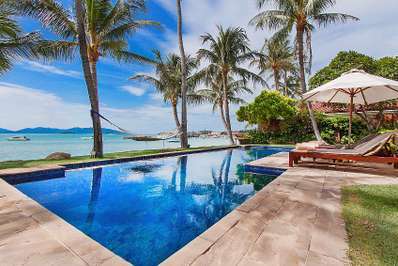 If you want to get out of the villa you will need a car to get around the island or a taxi down to Fisherman's Village (10 mins) or Chaweng (20 mins) which is easily arranged. Although you should be aware that taxis can be quite pricey wherever you are on the island. Also I would say that if anyone has mobility problems this wouldn't be the best place to stay as there are lots of stairs and steps down from the road. 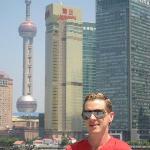 We booked through Thailand Retreats and they were excellent and offered very good information pre and post booking. It was nice to come back to villa Baan Kuno. Such a lovely place to stay. Everybody taking so much care. 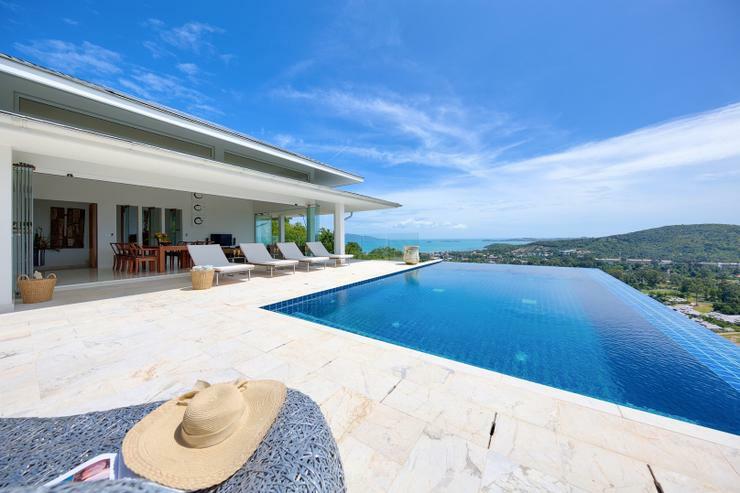 Love these stunning views from the terrace and the infinity pool... Will be back for sure! 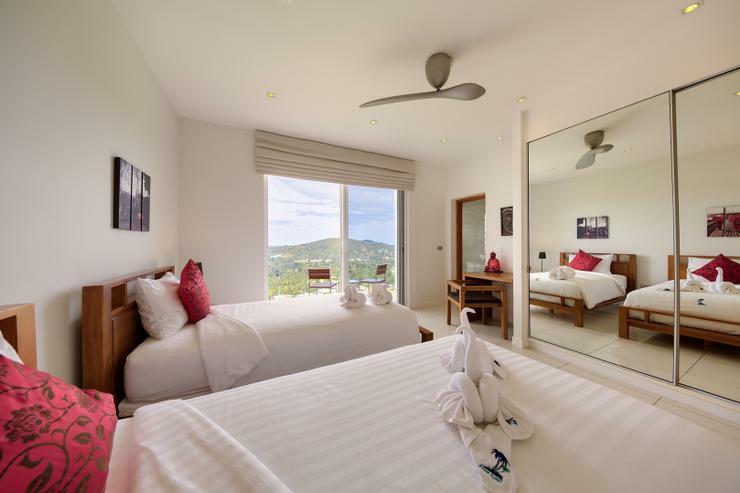 Baan Kuno occupies a stunning location on the North shore of Koh Samui in Bophut Hills and enjoys incredible ocean views of both Chaweng and Bophut. The road to the villa has virtually no traffic. Bophut is only a five minute drive from the villa and well worth a visit, especially in the evening. Bo Phut is one of Samui's oldest settlements and remains a quaint little fishing village, with several of the seafront shop houses converted into restaurants. The beach itself is some two kilometers of white sand, and the tranquility of the bay makes this a popular spot for water skiing. Located within Bophut is Fisherman's Village, where you will find a charming and romantic atmosphere, perfect for a little privacy, with a whole array of restaurants and bars to suit all tastes. 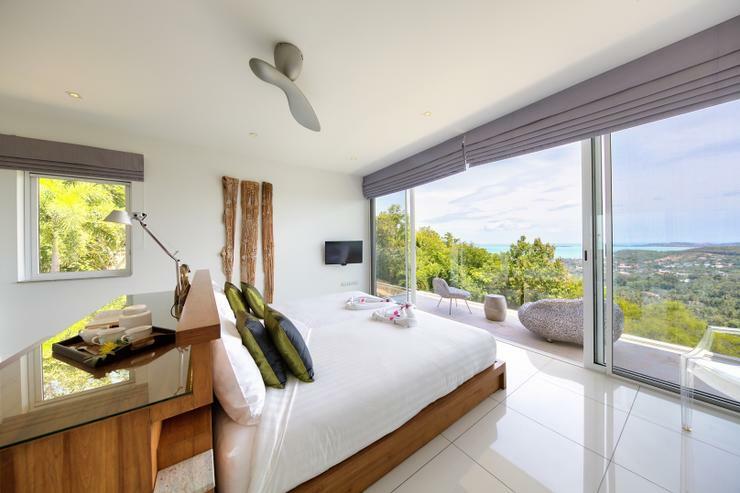 Baan Kuno occupies a stunning location on the North shore of Koh Samui in Bophut Hills and enjoys incredible ocean views of both Chaweng and Bophut. 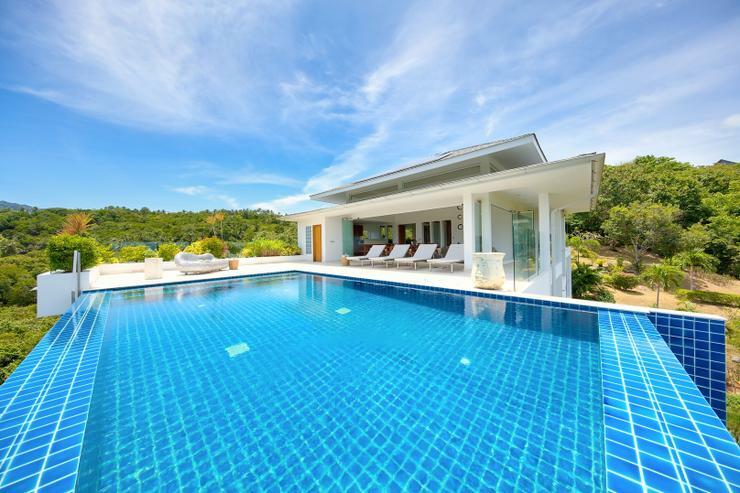 The main features of Baan Kuno (which not many of its competition can equal) is the complete privacy the villa has to offer its guests, together with a beautifully landscaped large garden surrounding the property. 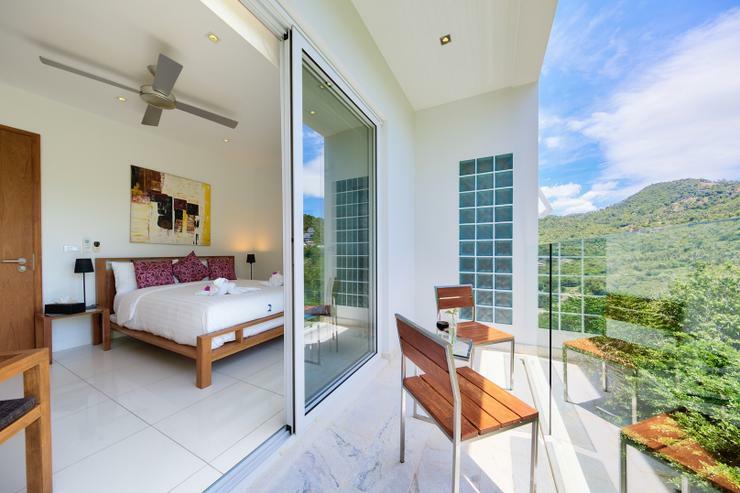 At Baan Kuno guests really are overlooked by no other. 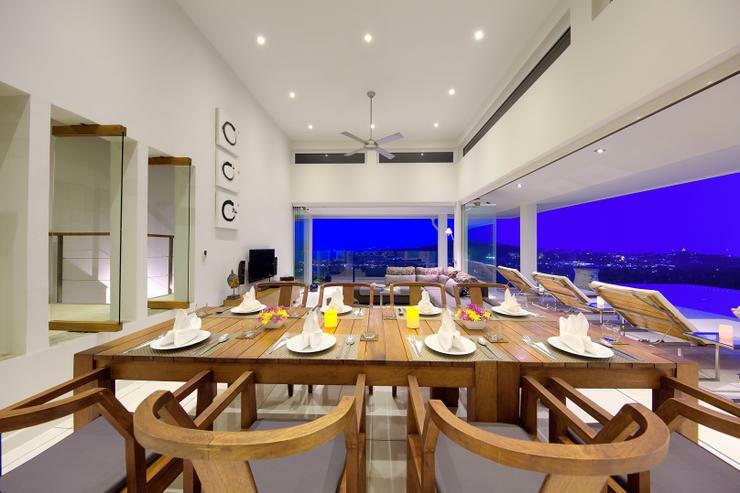 The dining area has a large teak dining table that can comfortably seat up to ten diners. 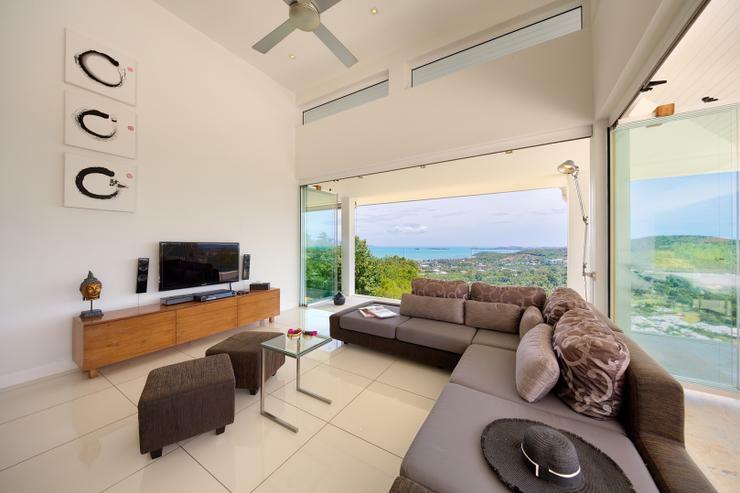 The living area has a glass wall to the front aspect from where the spectacular views can be enjoyed as well as a comfortable L shaped sofa, a flat screen TV with surround sound and a DVD player. 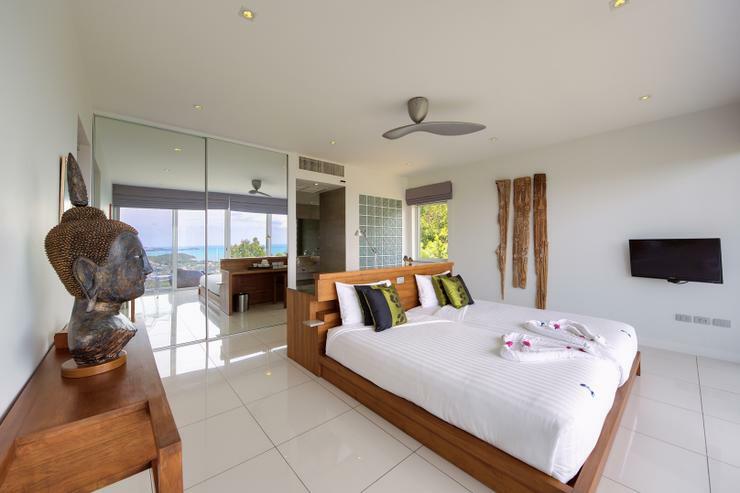 The second master bedroom, directly below the first, has all of the same features and is the same in size and layout as the one above. 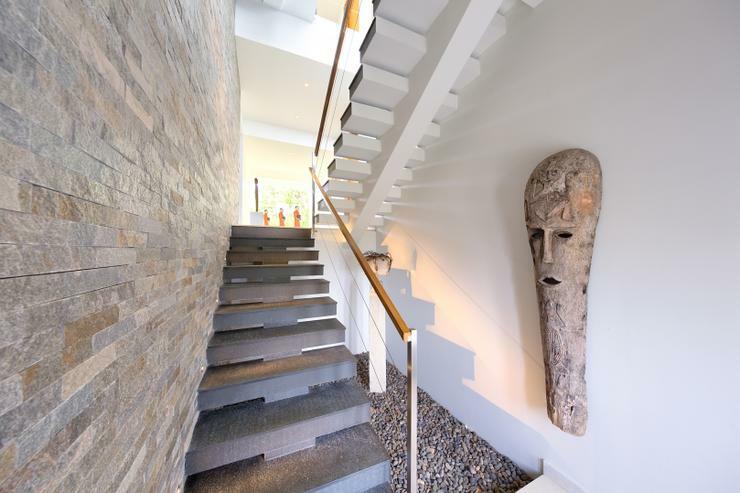 Both these rooms have been tastefully decorated with wooden artworks created by an artist from Chiang Mai. 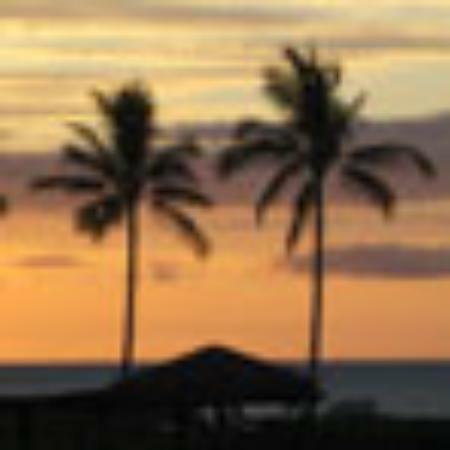 Both rooms also benefit from flat screen TV's and DVD players and jaw dropping views of both the gardens and the ocean. 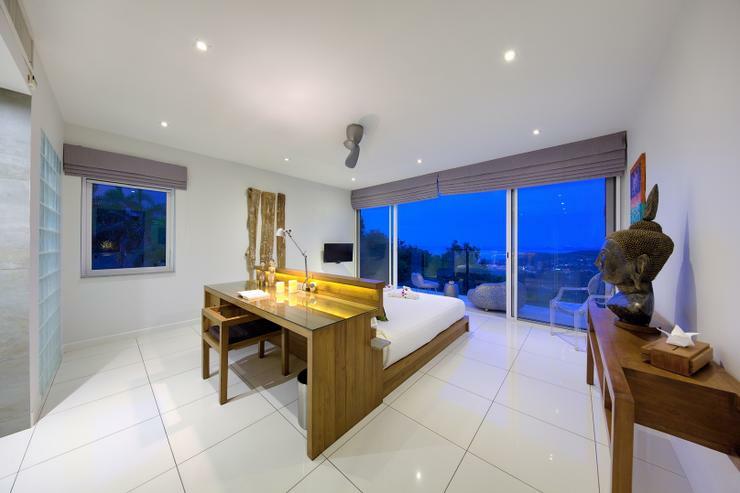 The fifth bedroom has a comfortable double bed and garden views. 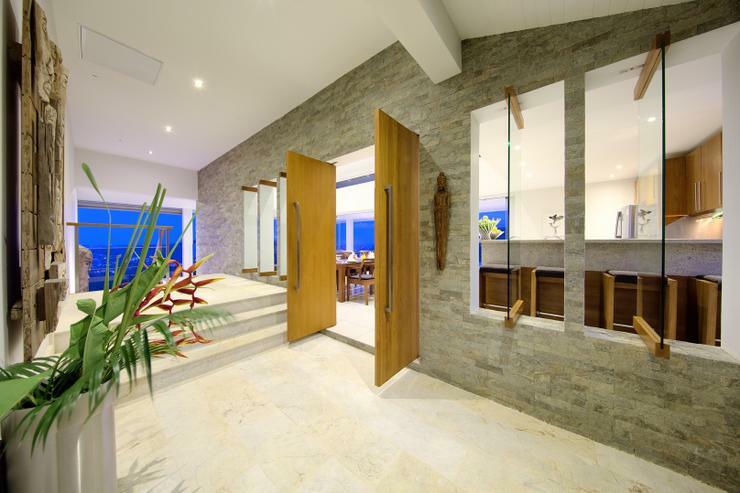 Steps from here lead past the staff quarters and onto the garden that has large BBQ and dining terrace with beautiful ocean views. 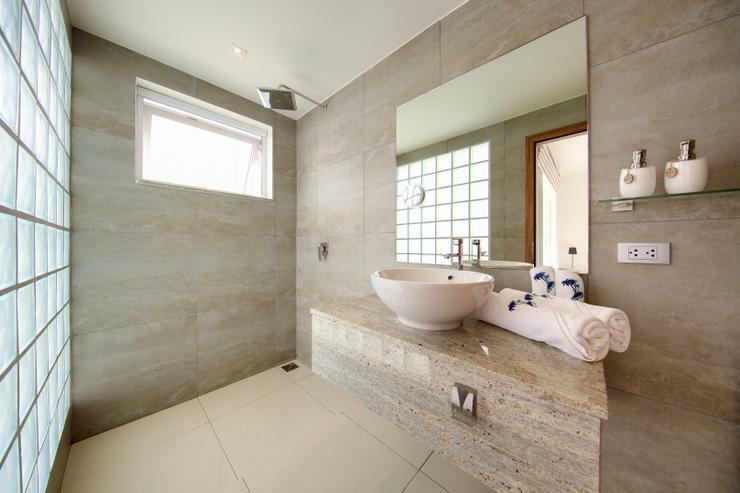 This property has been beautifully designed and has high end fixtures and fittings. 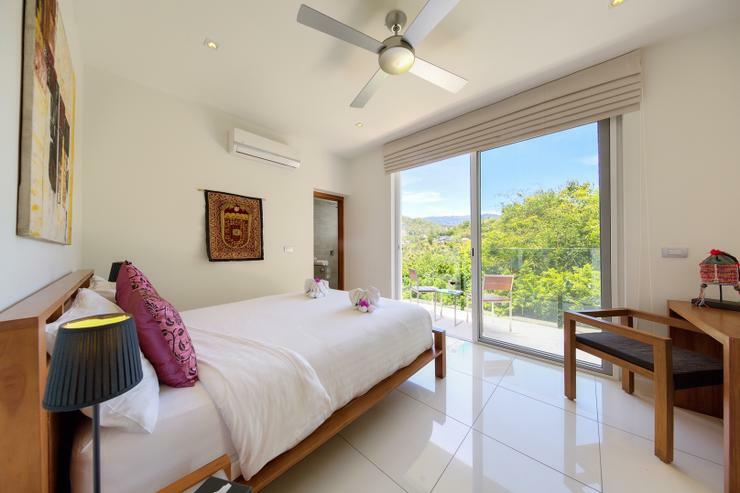 With all bedrooms, the thoughtful design ensures guests are blessed with complete privacy, even from others within the villa itself. 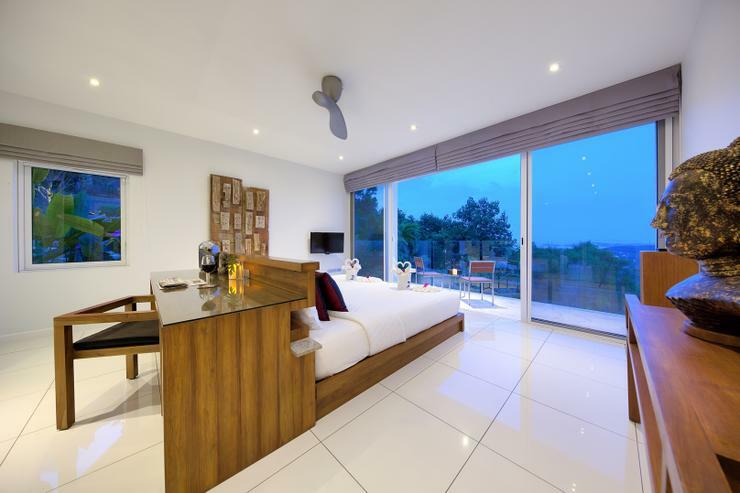 Master Bedroom: 1 King-size bed, en-suite shower room, air conditioning, flat screen TV, internet TV, safe for valuables, slippers and robes, hair dryer. Private balcony. Proper working desk with WiFi and cable internet connection. 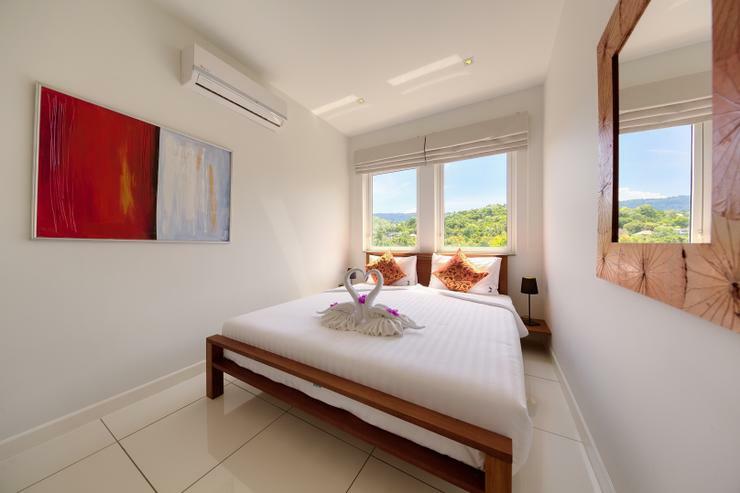 Master Bedroom 2:	King-size bed, en-suite shower room, air conditioning, flat screen TV, internet TV, safe for valuables, slippers and robes, hair dryer. Private balcony. Bedroom 3: Two separate beds, en-suite shower room, air conditioning, safe for valuables, torches, hair dryer. Private balcony. Bedroom 4: Queen sized bed, en-suite shower room, air conditioning, safe for valuables, torches, hair dryer. Private balcony. 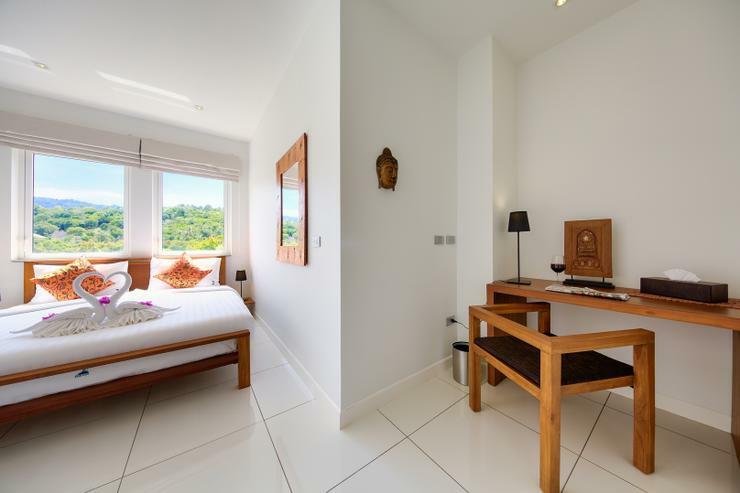 Bedroom 5: Double bed, en-suite shower room, air conditioning, safe for valuables, torch, hair dryer. 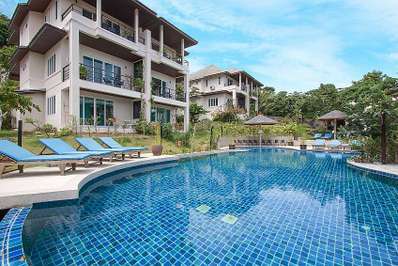 Located in Bophut beach, Koh Samui. 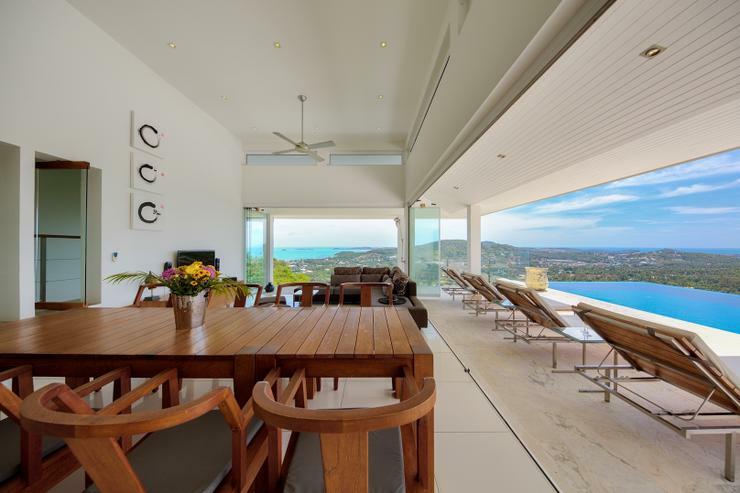 Bangrak Beachfront Villa is a in Thailand. 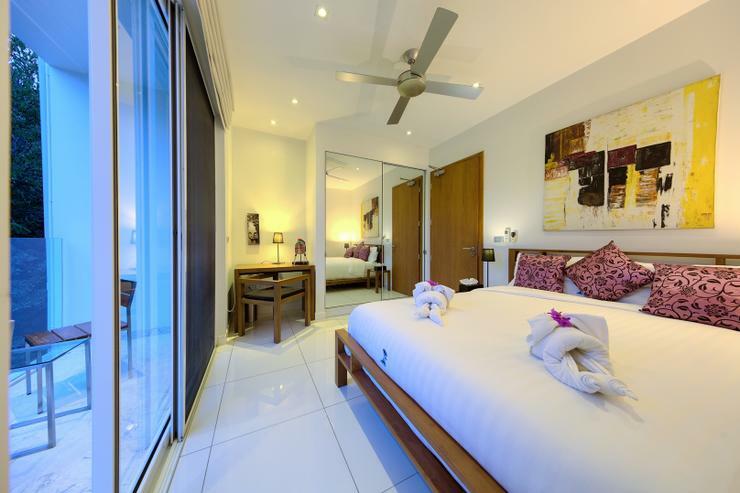 Located in Bophut beach, Koh Samui. 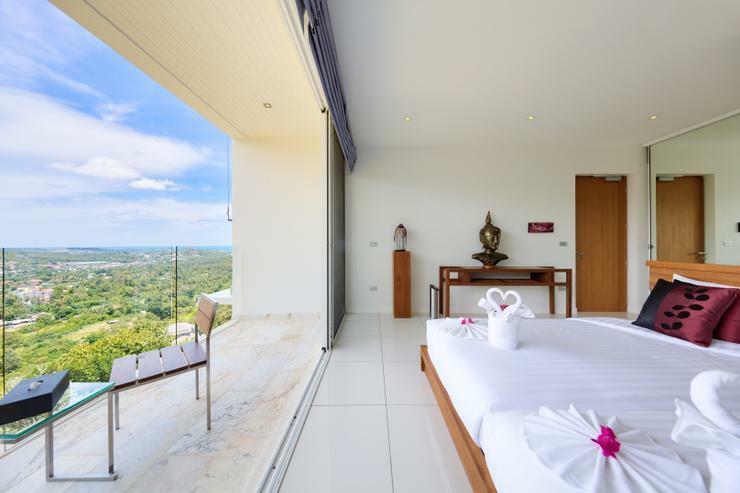 Villa Janani 302 is a in Thailand.